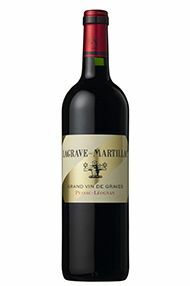 La Tour Martillac has been owned and managed by the Kressmann family since the late 19th century and now under the stewardship of Tristan and Loïc Kressmann. The wines have continued to improve in quality with the aid of some top Bordeaux consultants. Famously the gold and black label dates back to 1929, designed specifically for a bottle served in 1936 for the coronation of George Vl. Ch La Tour Martillac is a good name in the Graves (now, of course, refined as Pessac-Léognan for the best communes), and one that carries Grand Cru Classé status for both its red and dry white wines. Arguably the estate was more famous for the latter in the past, but the reds have made very good progress in recent years and Michel Rolland is engaged as a consultant. In earlier vintages under the Rolland banner the wine was perhaps too light for the level of new oak used, but adjustments of both now present themselves as well-matched in this example. 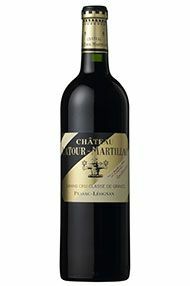 La Tour Martillac has been owned and managed by the Kressmann family since the late 19th century and now under the stewardship of Tristan and Loïc Kressmann. 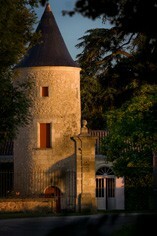 The tower that gives its name to this estate is all that remains of the 12th century fortification. Famously the gold and black label dates back to 1929, designed specifically for a bottle served in 1936 for the coronation of George Vl. 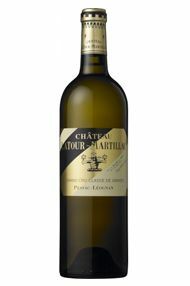 This has a delicate and fragrant nose, with a hint of reduction initially, opening up to reveal citrus and white stone fruits along with gun flint. The palate is fresh, clean – as with most 2017s – and linear but expressive with crisp, stone fruit dominating. A lovely creamy mouthfeel is balanced by a bright mineral finish. Totally drinkable.